The DLP Challenge for November 28th was to combine stencils, masks and stamps. Here is my art. 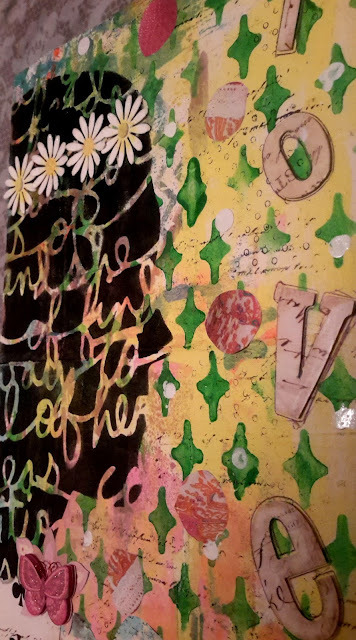 Here I have used two stencils from The Crafter's Workshop. 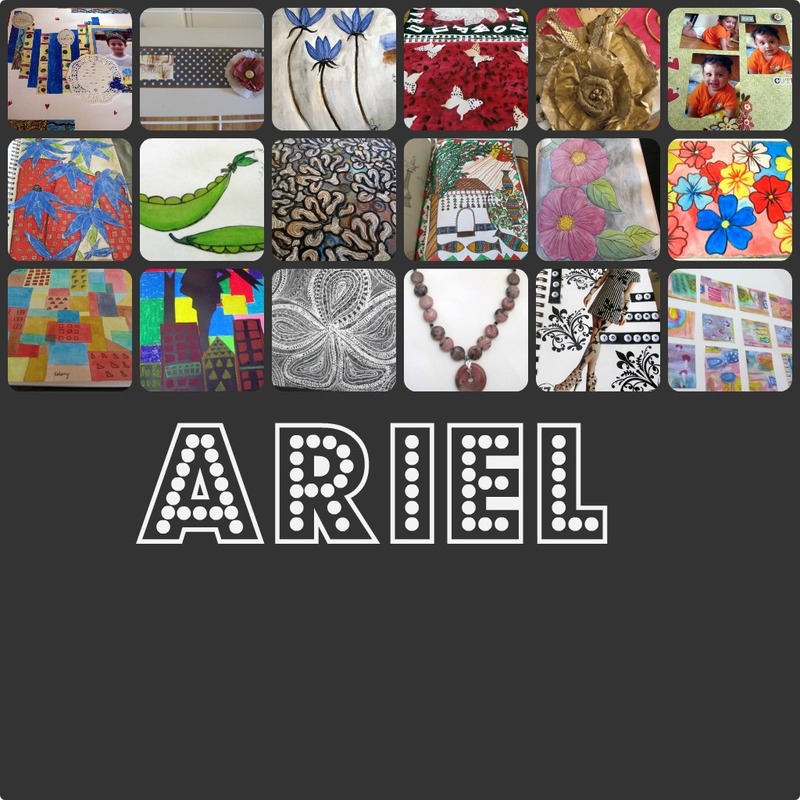 The face stencil is my favorite which is a balzer designs 12×12 silhouette script stencil. 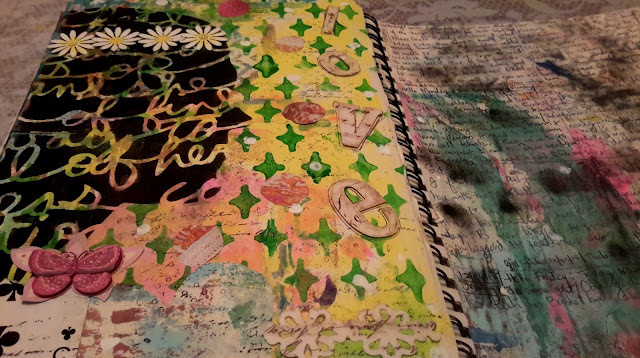 I have also added collage elements, paper masks, stamps and acrylic paints. 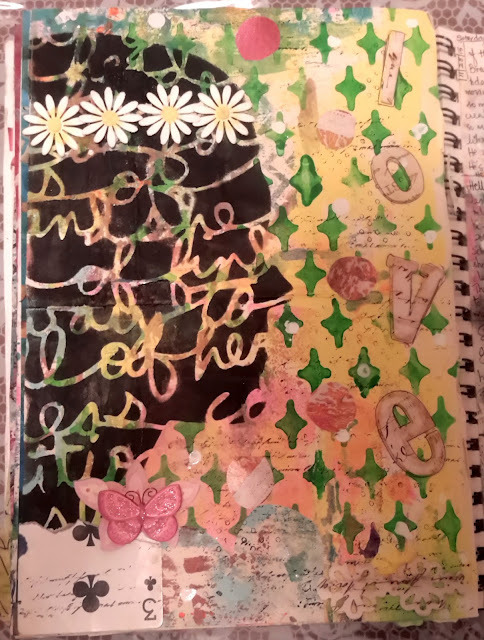 Linking my page to the awesome team at Paint Party Friday, Julie Balzer 's Art Journal Everyday and Art Journal Journey where their challenge for this month is 'collage'. This is a beautiful page ! Wow! 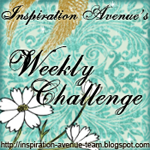 Thank you for linking to Art Journal Journey! Have a nice weekend! gorgeous Susan! I have that stencil too - but the smaller version-isn't it fab? Happy coming weekend! When you said that stencil was a Baltzer design it all made sense. I thought that that this was her art because it looks so much like some of the art that she does. That is a real compliment because I love her art and her blog! Oh Susan, this is simply adorable. I am really not very good with stencils or masks and even worse with stamps, so I'm in love with what you made for this entry. It is wonderful. Your artwork is so unusual and charming. Very nice! Love the script under the face stencil. I also like the idea of using a torn playing card as a collage element. Your artwork is so beautiful! Enjoy your week!